I finally gave the site a try when I desperately needed creative thank you gift ideas and all the Google search results linked me to Pinterest. Clicking the link instantly proved the second theory that I listed above to be true; jars, boxes and cards bursting with colors and intricately wrapped with even more colorful ribbon and bows, all finished with a cutesy font that screams “I AM SO TALENTED.” One hour later, I settled on creating these little guys. 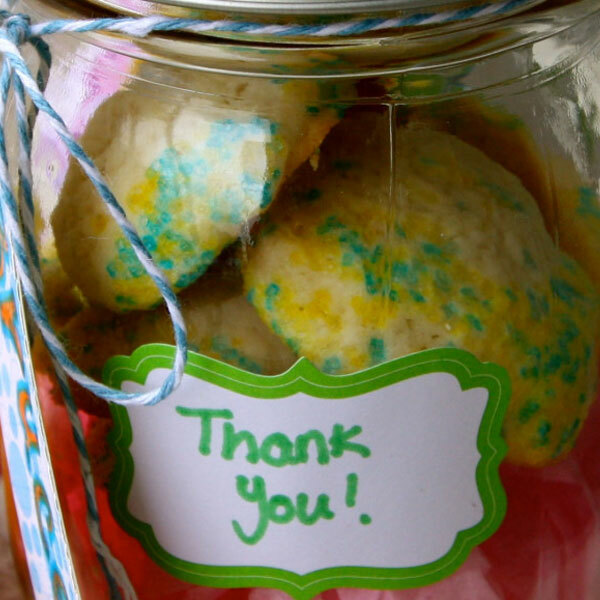 Mini lemon shortbread cookies in mason jars! Why yes, I did in fact stuff it with tissue paper to 1) be more colorful like my Pinterest Idols and 2) avoid having to bake 300 cookies. Recipe for the cookies can be found here.